Lindsay Lohan is accused of stalking an 18-year-old model. Sources say premature cougar Lohan even creepily crashed a recent party for the “Rich Kids of Instagram” crowd — where her former love ¬interest, 18-year-old male model Morgan O’Connor, was hanging with friends — and then ordered all the young women there to leave before locking herself in a bedroom. “She finds out where Morgan is, then shows up and causes problems,” said a friend of the dreadlocked model, adding that Lohan was recently miffed O’Connor hadn’t returned her calls, then tracked him down and caused a scene. Lohan has also been linked to model Liam Dean, 19, and Liam Neeson’s teen son Michael. O’Connor couldn’t be reached. 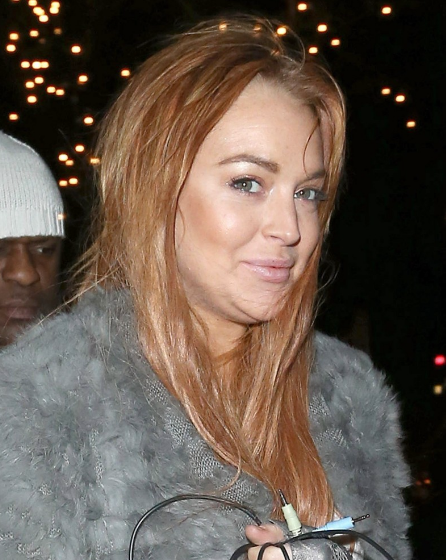 Lohan’s rep didn’t get back to us. A Dream rep wouldn’t comment. remember when we all thought her dating wilmer valderama was going to be bad for "her"